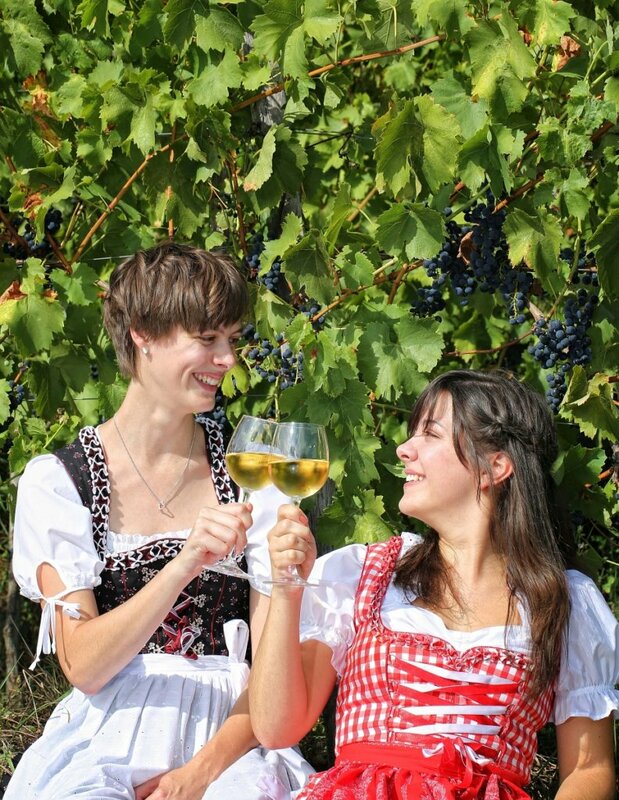 Wine, beer, ob der Tauber indulgence, and snowballs – Rothenburg’s culinary diversity is broad! Franconia and Rothenburg ob der Tauber are not only famous for the beauty and numerous sights. Franconian hospitality and diverse culinary delights are as equally vital. Discover the many traditional restaurants and rustic local inns. From hearty meals to Michelin Star restaurants, Franconian cuisine has always set a high standard of diversity and quality. Awarded many times over with national and international prizes, Franconian wine plays an important role far beyond the borders of Germany. Savor local valley wines where they are made! Eating and drinking in Rothenburg brings Franconian hospitality together with delicious culinary delicacies from both the kitchen and cellar in fabulous surroundings. Experience your very own culinary wonders! And allow yourself to be surprised by the Taste of the Tauber initiative that is the very embodiment of regional wines and cuisine. 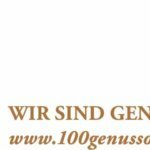 It is thanks to this embodiment of regional, preserved expertise in the vineyards and kitchens of Rothenburg ob der Tauber that the city was crowned as one of Bavaria’s 100 Indulgence Spots by the Bavarian State Ministry for Food, Agriculture and Forestry in May, 2018. Taste of the Tauber is a culinary initiative by leading restaurants and hotel operators from Rothenburg ob der Tauber. The dishes are based on Franconian and Hohenlohe cuisine. In the time-honored fashion, dishes are characterized by wine and prepared with ingredients provided by the nature of the area. This includes the Wettring Tauber Apple and Franconian Green Corn (half-ripened spelt). These use products from the mills along the Tauber and excellent quality lamb from Franconia and Hohenlohe. Goose and duck are also included, as is venison supplied by local hunters. Some dishes are simple, such as the fasting meals of the Way of Saint James pilgrims. Some are special, such as Tauber snails or seasoning with Franconian saffron. Genießen ob der Tauber e.V. Rothenburg ob der Tauber needs wine to survive. This is meant absolutely literally. What other city can claim that it was saved by drinking 3 1/4 liters of wine in one go? However, this legendary story of the Meistertrunk from the Thirty Years’ War plays just a small role in Rothenburg’s love affair with Franconian wine. The southern most point of the tradition-rich wine region is found directly beneath the city wall An der Eich. 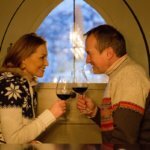 A ninety minute tour of Glocke winery’s Thürauf family vineyard can be taken with the owner himself. 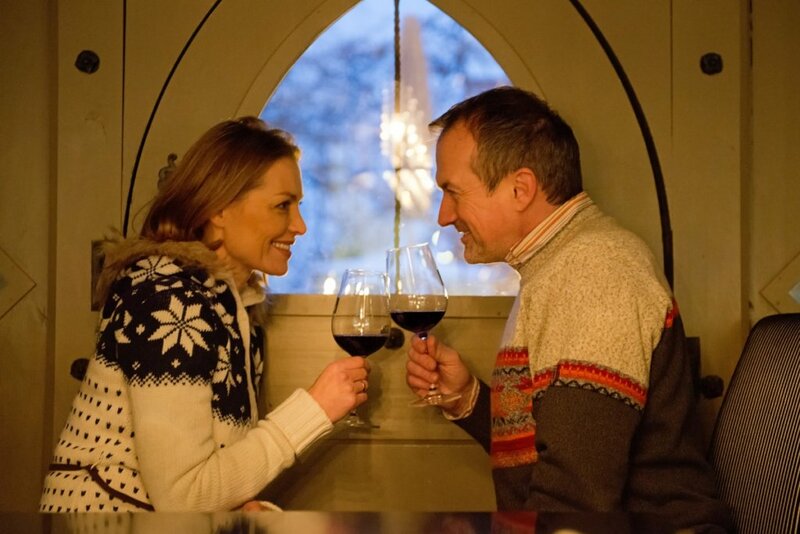 Or simply try a delicious drop at the Plönlein wine cellar. The winery’s cellars are on Johannitergasse, outside the old city. 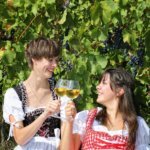 Each year in August, all attention turns to wine culture in Rothenburg when local restaurant owners and wine growers come together for the Wine Festival. A wonderful dessert or a delicious treat to take to friends are the famous Rothenburg Snowballs. The strikingly shaped regional specialty is made with shortcrust pastry according to a recipe handed down over the centuries. Authentic Snowballs are sprinkled with powdered sugar – traditionally in white. Naturally, there are numerous variations nowadays for chocolate lovers and for all tastes. Some bakery stores can be booked for groups to see how they are made. Beer has always been brewed here at different strengths depending on the occasion. Rothenburg ob der Tauber, with its prominent location along the trade and pilgrimage routes, had to offer travelers and pilgrims invigorating nutrition during periods of fasting in the Middle Ages. This included strong beer that became known as fasting beer. Today, the Landwehr-Bräu brewery is located 6 km north of Rothenburg in Reichelshofen. This is medium-sized private brewery that continues to brew beer according to traditions dating back to 1755 with local ingredients and with Franconian craftsmanship. A highlight among the 13 beers made here is the traditional Franconian red beer. This was invented as far back as 1300 in Middle Franconia, when it quickly became the most brewed and popular beer of the region. Today, the long, cold storage and four special barley malts give the Landwehr-Bräu Rotfränkisch beer its unique character. The Landwehr-Bräu brewery can be explored with a diverse range of tours. Beer brewed in Rothenburg is available from Herr Berger at Hotel Markusturm. He only sells his beer fresh in his establishment. We say: Prost! Rothenburg’s nightlife offers a broad palette of possibilities and a whole lot of fun. The classic starting point for visitors wishing to discover Rothenburg after dark is the history-steeped guided tour with the Night Watchman. Both Toppler Theater and Kunst Kultur Korn put on excellent quality theater and cabaret performances. The movie theater Forum Rothenburg shows contemporary European film culture along with Hollywood blockbusters. Concerts and readings in the small, but exclusive, venue complete the package. There are also numerous events throughout the year, including springtime, summer and fall folk festivals, historical Pentecost festivals, the Free Imperial City festival and the Reiterlesmarkt Christmas market that all extend into the night. Plus: Rothenburg residents and visitors alike have a huge choice of excellent restaurants, cozy bars, quaint pubs and shaded beer gardens all year round – all set in history-steeped, unforgettable picturesque surroundings. Inns, pub owners and local businesses from romantic Franconia have clubbed together under the slogan of Regional Buffet to create an initiative that promotes local sourcing. They are committed to the production and use of particularly fresh and premium products from the region for exceptional quality and the utmost enjoyment. The inn cooks use these products to conjure delicious meals labeled on menus with the logo as a seal of quality. This seal may only be used when the ingredients used originate from direct suppliers from the Regional Buffet. The Regional Buffet combines organic aspects such as maintaining the countryside, species-appropriate livestock farming and short transport distances with the taste benefits for guests. Enjoy a romantic walk aith a picnic through the Wildbad as a prime example of the picturesque and its many scenic spots by yourself. Imparting picturesque magic: We you off with a booklet and a picture frame on a journey of discovery to see picturesque views and sights around Wildbad. includes a booklet and a delicious picnic basket that has everything the heart could desire. Duration is up to you. The path is a 45 minute walk. Enjoy the picturesque beauty of the former spa at your own pace.